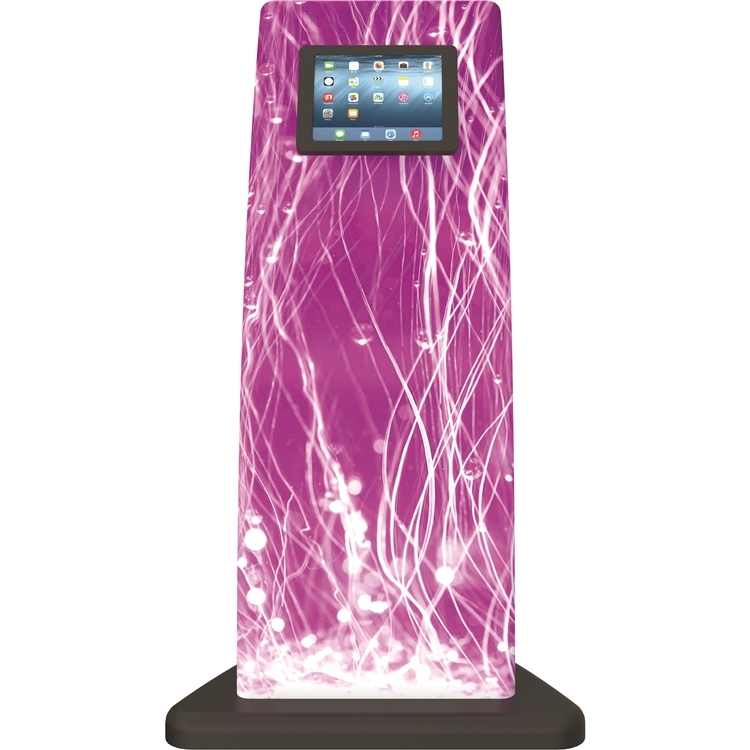 The sleekly-designed, free standing iPad Stand 04 makes it easy to add the interactivity of iPads into your display or environment. 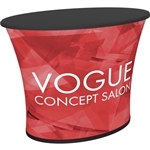 The easy-to-assemble aluminum tube frame and pillowcase fabric graphic makes it easy to present information and engage visitors or customers in any space. 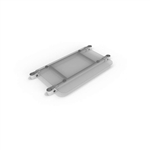 Stand supports iPad 2nd, 3rd and 4th generation and Air models. IPad not included. Best of all, our low price guarantee ensures that, when you shop APG Exhibits, you’re getting the best value possible for your money. Find a lower price on a comparable product and we’ll match it. Purchase this Ipad Stand 04 from our website and, when you place your order, you’ll be given the option of uploading your custom artwork directly. Once we have your design, we’ll get back to you with a proof within two days. Alternately, we offer in-house design services starting at $75/hour. Our team knows our products better than anyone and can modify an existing graphic, or create a new design from scratch. Contact APG Exhibits directly for more information. 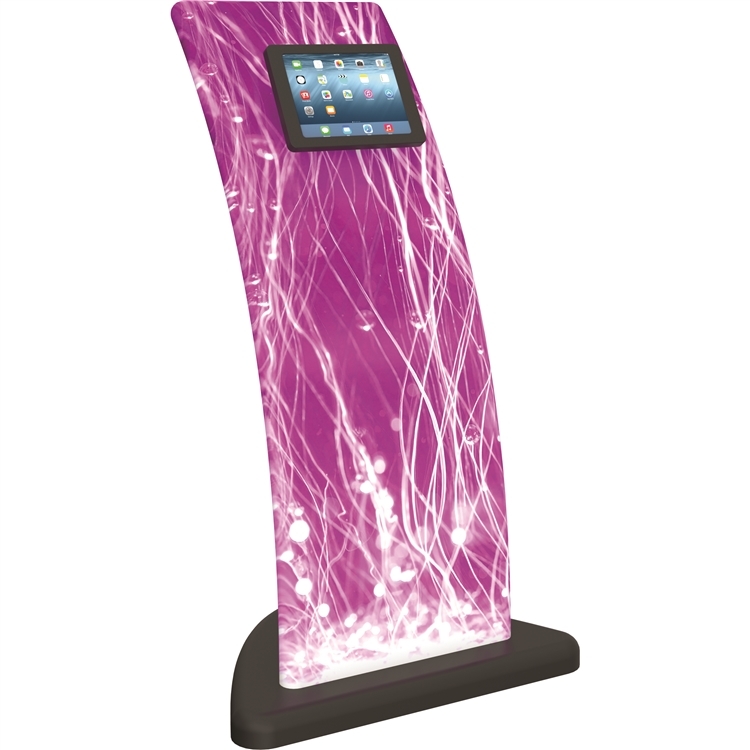 At APG, our goal is making your life easier through promotional signage and display products such as the Ipad Stand 04. For signage large and small, we craft innovative, modern solutions that help marketing managers and small business owners get the greatest ROI possible. 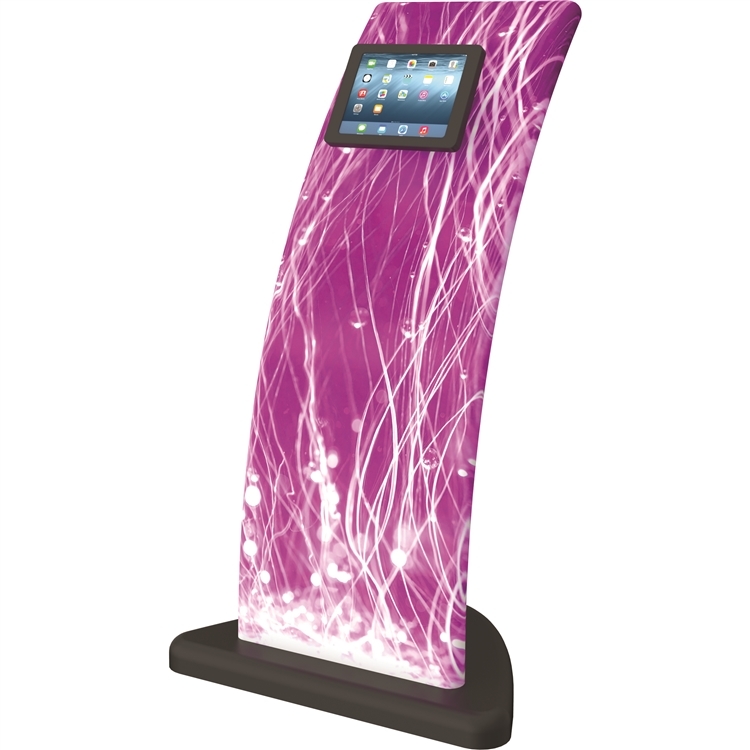 Choose APG for your entire brand messaging and promotional needs, and discover exceptional service and quality product options such as the Ipad Stand 04.